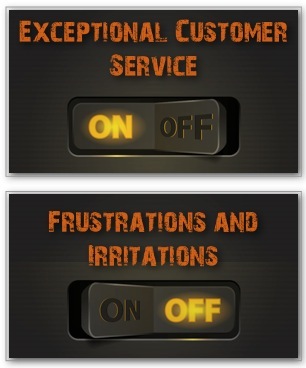 Service Agreement. The entire contact form below needs to be completed, including the waiver acknowledgment, before we will begin work. Thanks! Online Contact & Feedback Form. Please use this form to contact us. For short questions, we need only your name, email, and message. Fill it out completely if you are submitting a request for data recovery. Thanks. Comments or Special Instructions - Include any details about the files and data you hope to recover. Drive Type - Please describe what kind of drive you have. Laptop hard drive. Drive Storage Capacity - What size is your drive in GB or TB. Other - Provide more details in notes. Data Type and Quantity - Describe what kind of data you wish to recover from the drive, such as photos, spreadsheets, music, videos, documents, etc. Urgency - Please describe how soon you need the data recovered. Rush jobs may cost more. 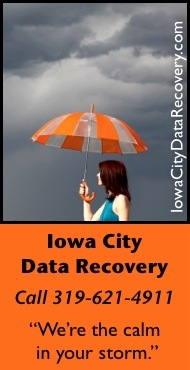 Waiver - I acknowledge that Iowa City Data Recovery (ICDR) will attempt to restore my data to using the greatest care. I will not hold ICDR responsible for any damage or loss that may arise during the data recovery process. Check here to acknowledge the above. Digital Signature - Type your name here as confirmation that you have reviewed the above and accept the service terms. Click here to learn about Data Recovery Scenarios. Consumer Warning: Don’t Format and Reinstall Windows Just Yet!